/ Data Protection - How we use and protect your personal information. How we use and protect your personal information, and your rights in relation to this. 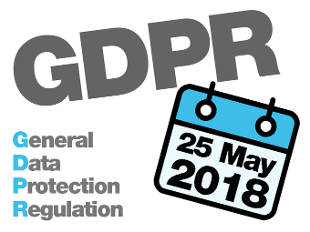 The new General Data Protection Regulation (GDPR) comes into force on 25 May 2018 across all EU member states and in the UK, this is supplemented by the provisions of the Data Protection Bill. Data protection laws ensure that personal information is handled appropriately and securely by organisations including businesses, government agencies and charities. City Parking (Glasgow) LLP has a legal duty to follow these laws when gathering, storing, sharing or processing this data. In order to comply with the new requirements of this law, and to ensure that we can best continue to serve you, City Parking (Glasgow) LLP has updated its Corporate Records Management Policy and produced the following Privacy Statements. The Privacy Statements provided detail information on how we use and protect your personal information, and your rights in relation to this. Full details on the data we hold can be viewed on the document below. Full information on the data we gather from our website. Find out what 'cookies' are and how they are used on our website on the document below.